Spend your vacation by travelling to the Dargahs of places like Delhi, Ajmer, Jaipur, Fatehpur Sikri, Agra and Sikandra and complete a vacation which is going to be one journey which is going to spiritually purify you and help your body and soul in achieving true enlightenment. This Golden Triangle with Dargahon Ki Ziyarat package exclusively created by Travel Site India would be one of the most beautiful journeys which you would take. Enjoy!! As you arrive at Delhi, check into the hotel pre-booked for you. Stay at the hotel for the night. After that we would go for a sightseeing tour through the city. Visit the Red Fort, Jama Masjid, Safdurjung Tomb, Hazrat Nizamuddin Auliya, Lodi Tomb and Qutub Minar. If time permits you can also visit the Parliament House at the Raisena Hills. Later, return to the hotel for the night. Stay. In the morning we would board a train to Ajmer. Upon arrival at the Ajmer railway station, check into the hotel pre-booked for you. We will visit the Dargah Sharif, Adhai Din ka Jhopda , Ana sagar lake etc. You can also visit the local bazaars. Stay at the hotel for the night. Dine and relax. After a hearty breakfast we will leave towards Jaipur. Here we are going to visit the forts and palaces of the place. Do not forget to visit the City Palace, Palace of Winds, Natural Observatory etc. After that we would now retire to the hotel. Stay at the hotel for the night. 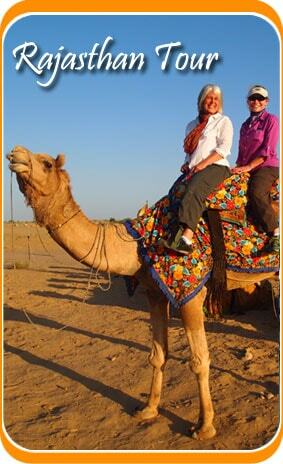 We would start our day with the visit to the grand Amer Fort where you can enjoy the ride of a caparisoned elephant. This was built by Raja Maan Singh in the late 16th century. 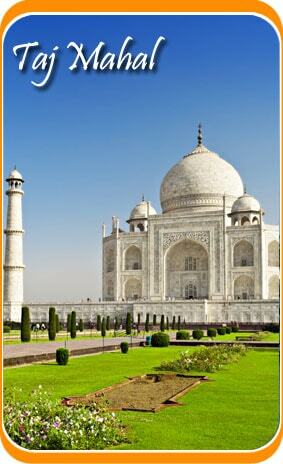 We would proceed our drive to Agra and then halt to visit the ruins of the city of Fatehpur Sikri. Do not forget to visit the mosque built by Emperor Akbar in the memory of Sheikh Salim Chishti. Then continue your ride towards Agra. Upon arrival, check into the hotel and stay. This day would start with a visit to the famous Taj Mahal, built in the memory of Mumtaz, the beloved wife of the emperor Shah Jahan. It is one of the most beautiful monuments of the world. Then visit the Agra Fort built in Red Stone and that is why at times called as the Red Fort. Then we would proceed to visit the Tomb of Itmad-ud-Daula. Move towards Sikandra now and visit the mausoleum of Emperor Akbar. Now proceed to drive towards Delhi. Upon arrival check into the hotel for the night. After breakfast, board a flight to your home country. Your Golden Triangle with Dargahon Ki Ziyarat Tour ends here.